Adding a morning routine wasn't 100% successful, but it was a heck of a lot more successful than my previous routine. I did 6 meditations, 5 dog walks, and 3 7-minute workouts, plus a couple days of jumping jacks. 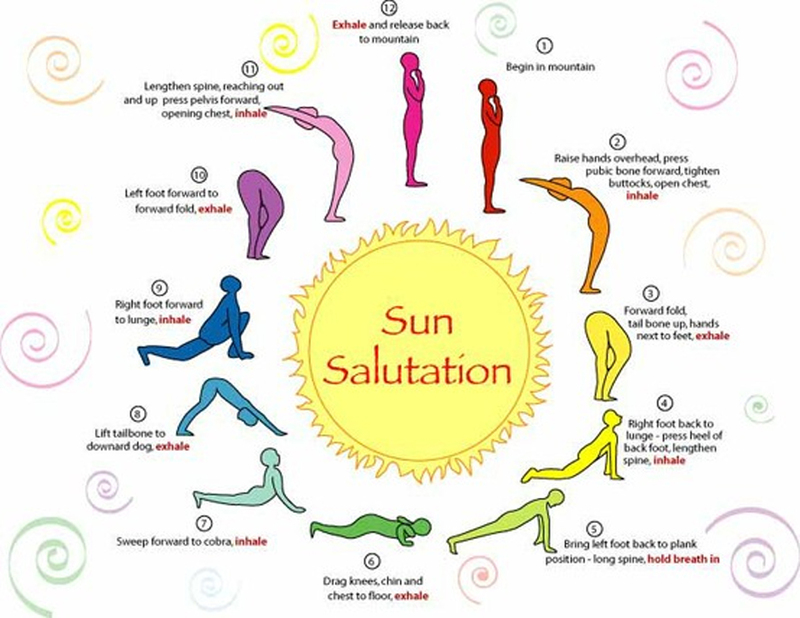 And I did a sun salutation (yoga sequence) one day. I'm using this 7-Minute Workout app, but it's just one of many you can find. I'm planning an upcoming post on short workouts and why the research says they work, but for now I can say for me, it works because it's short enough that I don't dread doing it. The one I'm doing has 12 exercises, so each lasts only 30 seconds (plus transition time). I can do that. I think it's enough to meet my short-term fitness goal, which is to be doing something to build strength. At the beginning of the week, I really, truly thought I'd miss my morning tea more than anything else but, somehow, it turns out I'm okay without it while I'm doing my routine. The minute the routine is over, I want tea. That adaptation came surprisingly easily! And it just goes to show how easy it to misjudge our own inclinations. So let's look at the one day I did nothing and what led to that. It was the end of my work week, my Friday (which happens to fall on Thursday). I hadn't gotten enough sleep for two nights, and I didn't go to bed early enough on Wednesday night, despite being tired. When I woke up, I knew I not only had a tough shift coming up, but that I also needed to go grocery shopping after my shift was over. I could have skipped the grocery shopping, but that weekly trip is a routine that's been working for me. So, I skipped the routine in favor of sleep and tea. But I got right back to it, and I think that's the important part. As Taylor commented on one of my posts, she had a routine of doing the sun salutation every day for a long time, then took a week off for vacation and never got back to it. It's unrealistic to think there will never be a break in a routine. But it's important to go back to it as soon as possible.